I've never used the MyStickease or Complements/Dimensional Elements on a card before (or if I have, it's been ages). I think partly it's because I'm too cheap (um, practical??) to make a bunch of cards out of something that there's a finite number of (stickers) as opposed to stamping an unlimited number of whatever I need. But as soon as I saw the Chantilly Complements Dimensional Elements (X7163C, $4.95) (printed-on chipboard shapes which coordinate with the Chantilly paper pack), I knew I had to make some cards with them. There's 46 shapes in the Complements set, of varying sizes and shapes. There's an assortment of flowers, words, birds, bows, borders, umbrellas. All very cute. 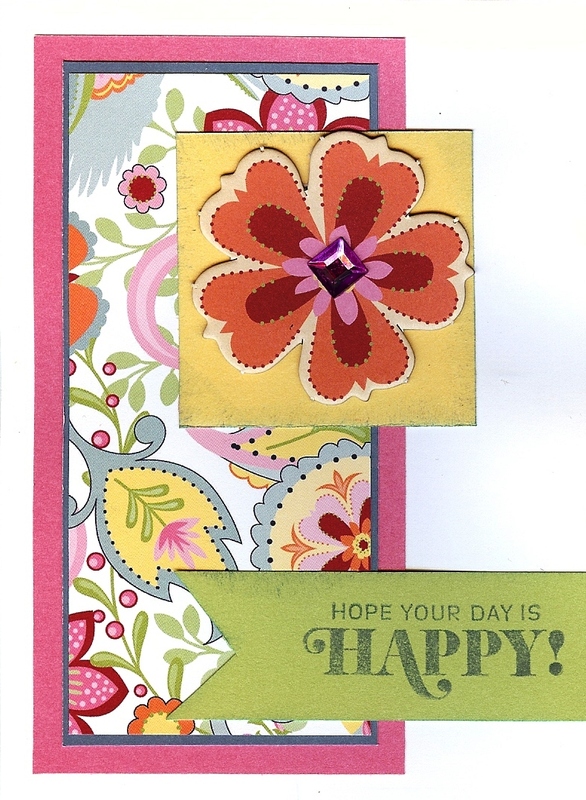 The sentiment I used is from the Chantilly Card Making Workshop On The Go (G1061, $29.95). It's a simple card - but those are nice, because they are easy and fast to make. 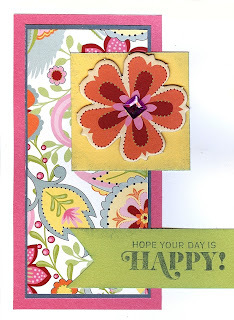 March Stamp of the Month Blog Hop!